During a promo after the first episode, we saw Colton throwing himself over a tall fence like it was no big thing. We got only the vaguest, most puzzling answers about the moment from Colton and from Chris Harrison afterwards, with Chris marveling at Colton’s athleticism. It turns out the fence jump is next week, and it does look like it might come pretty soon after the way things ended tonight, with Colton confused and fed up after the departure of yet another girl who tried to tell her there were women remaining who weren’t there for those ever important right reasons. Another girl (Sydney?) had also left of her own accord earlier, and he had just sent home Demi, and at the very beginning of the episode, he was still dealing with a fight between two girls from last week’s episode, so the guy was going through a lot tonight. We really just wanna have a good time and watch the Bachelor jump over a fence, and that doesn’t feel like too much to ask. Geez, ABC. 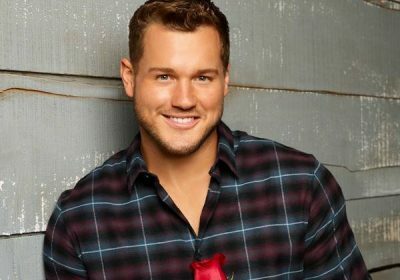 The Bachelor’s Colton Underwood Makes a New Year’s Eve Appearance in Times Square! How Many Kids Do 'Property Brothers' Drew Scott and Wife Linda Phan Want?